Come 2011-We hardly go to the beach these days and even if we do,we get one Jughead special from Fruit shop and sit in the car and discuss which restaurant we should have dinner from! 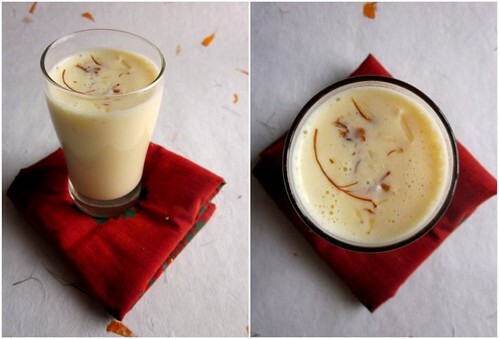 This post has got nothing to do with our future plans or dinner plans but a very simple recipe for homemade badam milk which got over before I could spell a-l-m-o-n-d.Anything to beat Chennai heat! Make a paste of blanched almonds with 2-3 tbsp milk until it becomes a smooth paste,keep aside. Cook the carrots in a pressure cooker till soft.Add a few tsp of milk and blend into a smooth paste. Boil the milk with sugar and add the nut and carrot pastes.Let it cook for 5-7 minutes on slow heat to let the nuts cook. Mix in the cardamom powder and chopped nuts. 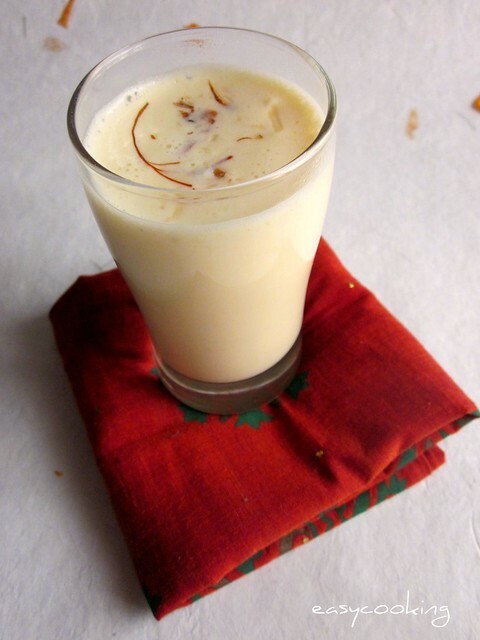 Fat free milk is preferred for this milk since full fat milk suppresses the taste of almonds. I microwaved the carrots on full power for 3 minutes and used it. How did we like it -As soon as we took the first sip,we got transported back to our beach outings and hence the introduction.Perfect drink during summer season[and otherwise too].We liked the chilled version best though Bharathy says it could be served hot too. Yummy and healthy cooler for this summer. Very delicious combination.. looks absolutely perfect !! Nice combo,healthy and loved the pics very much ! Soo tempting milk; can have it everyday,without any hesitation.. Pretty as a picture and simply irresistible! Divya, this is a completely enticing drink - question! 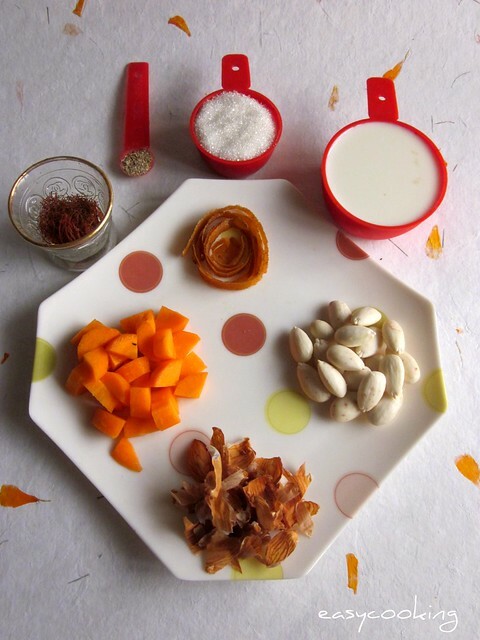 what is the brown thing curled up between the carrots and the badam on the plate? I don't like to drink milk but with addition of thingslike this i would give it a try. I should make this once for my daughter. couldnt get in here yesterday as the connection was so poor!